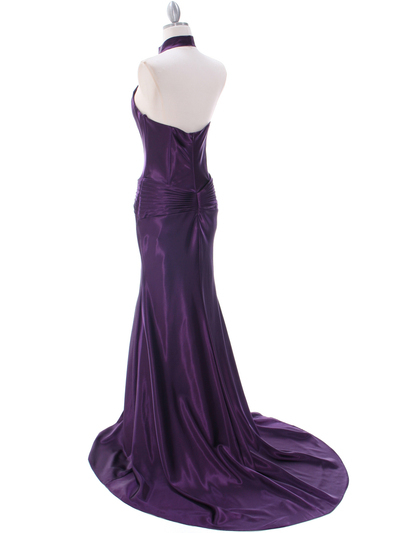 Dark Purple Evening Dress | Sung Boutique L.A. 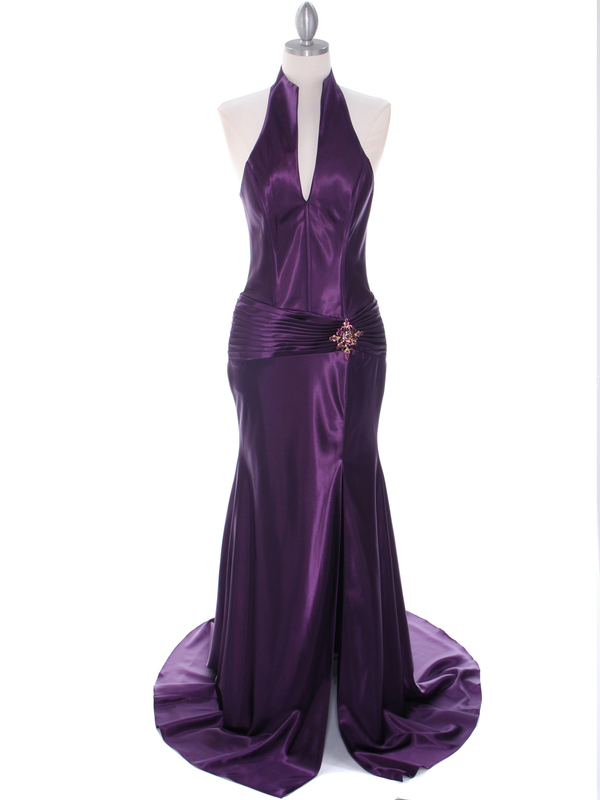 This gorgeous evening dress features halter neck with low v neckline. Draped detail at hips with a dazzling jeweled brooch. Long skirt is slit alluringly up the side. Slight train. Beautiful and elegant. - Approx. 60in. from shoulder to front hem. - Approx. 66in. from shoulder to back hem.